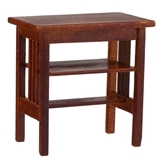 We began introducing JBM Miniature Furniture several years ago, and it quickly became one of our most popular lines. 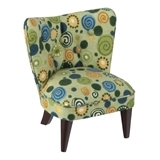 The quality is excellent, the detailing precise, and the designs are reproductions of classic furniture. 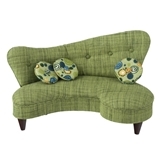 Each dollhouse Craftsman sofa is designed in Australia and crafted from kiln-dried hardwood. 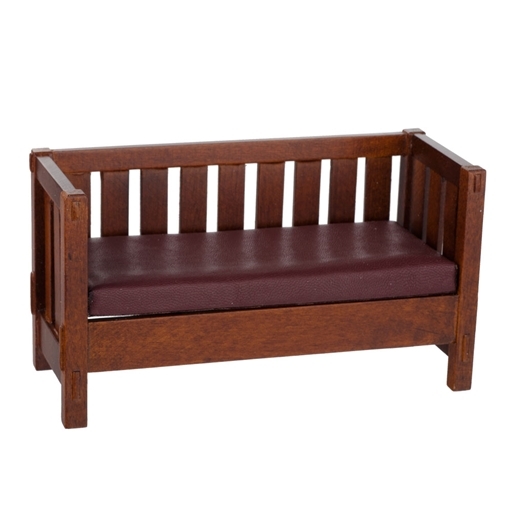 This miniature couch has a walnut finish features through tenons, chamfered corner posts and a removable deep red leather cushion. Use with other matching Craftsman furniture.